Thangwang Wangham alleged that ” under ground elements on voting day have interfered and disrupted the voting process in Longkhau polling station in Longding district. 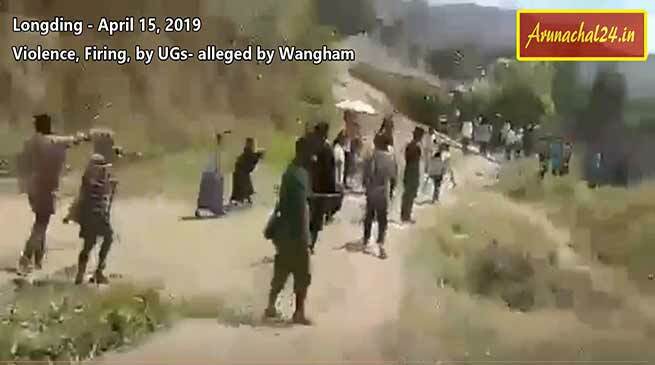 National people’s party (NPP) candidate from 59 Longding-Pumao Assembly constituency of Longding district Thangwang Wangham alleged that ” under ground elements on voting day have interfered and disrupted the voting process in Longkhau polling station in Longding district. He said polling was disrupted for about an hour from 1 pm on Thursday and on that basis Wangham, has demanded re-polling at the polling station. Wangham appeal the district administration, state government and Election commission to make full proof security arrangements at Langkhau polling station and conduct re-poll . He also appeal for peace, tranquillity and communal harmony among the citizen’s of his assembly’s constituency. He further said that on day of polling on April 11 was attacked by the mob there and narrowly escaped due to intervention of his personal security officers. Meanwhile the DEO also wrote the official letter to Govt of Arunachal Pradesh, and requested for re-poll for polling station number 59/4 longkhaw and 58 Kanubari.